Oklahoma: “Sniffin’ Dirt”…Snitching on your neighbor will keep us all safe! Truth Squad Radio: No Child Left Behind? In June the German food safety body (GFSB) was quite upset when it was discovered that Dioxin was served up to critters for consumption. Dioxin-contaminated eggs that entered the food chain in Germany and the Netherlands are not expected to cause any adverse health effects but such exposure was unacceptable, said the German food safety body. I wonder what exactly the GFSBs feeling is now that the “little” problem has expanded exponentially? Eggs from farms affected by dioxin-contaminated feed have been and mixed with products to be used in processed foods and exported into the UK, food safety officials said yesterday. The European Commission confirmed that a number of the 136,000 eggs originally sold into the Netherlands from German farms involved in the contamination have been used to make liquid pasteurised egg distributed in the UK. Frederic Vincent, EC health spokesman, said a14.5 tonne-consignment of the liquid egg had been shipped into the UK, although it was currently unknown the number of products affected. The incident, which is the most serious in the EU for a number of years, began when fatty acids meant to be used for technical purposes such as paper processing, were incorrectly mixed with vegetable feed fat. These fatty acids were contaminated with dioxins which were than used in the production of the animal feed. The original source of the dioxin tainting remains unknown. The contaminated feed was distributed to farms in several areas of Germany. As hens consumed the contaminated compound feed, higher levels of dioxins than those permitted by EU law were found in poultry meat and eggs. Authorities believe that up to 3,000 tones of contaminated feed could have been sold. Tins of codfish liver contaminated with higher than permitted levels of dioxins and PCBs are being cleared from supermarket shelves by food safety authorities in the Czech Republic. The Czech Agriculture and Food Inspection Authority (CAFIA) said tins from five batches of the product imported from Poland were currently being removed from shops after samples were found to contain levels of dioxin and polychlorinated biphenyls (PCB) up to 80 per cent above permitted European regulatory levels. Now that is interesting because I consume both of those – although forgoing the livers due to the icky factor. “Their persistence and the fact that they accumulate in the food chain, notably in animal fat, therefore continues to cause some safety concerns”, said EFSA. Considering that humans tend to store fat in increasingly alarming numbers, I’d say “some safety concerns” is an understatement. 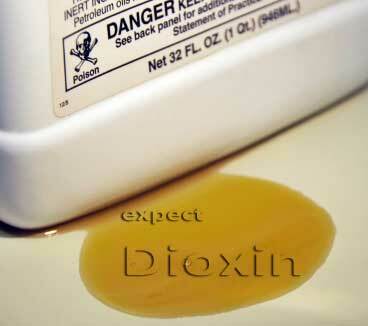 Now just who, or what, is responsible for Dioxin issues? According to a noted Swiss Scientist it is the Consumer, although when a Swiss thickening agent was recalled in 2007, it was actually the Indian Companies fault. Of course it was. One only has to look at the travesty visited upon those in Sydney Harbor – some individuals tested up to 34 times the National Average due to long-term exposure. The dioxin contaminants in Sydney Harbour were produced in the manufacturing of chlorinated organic compounds such as herbicides, and are some of the most toxic contaminants on earth. The Rhodes peninsular at Homebush Bay in the western reaches of Sydney Harbour housed a factory that produced industrial chemicals for about 50 years up until it closed in 1971. The factory was owned by a company called Timbrol that was later taken over by the American chemical giant, Union Carbide. Timbrol and Union Carbide manufactured organochlorine herbicides including a chemical compound found in DDT and the highly toxic 2,4,5,T used in Agent Orange. The factory buried its chemical waste onsite and the dioxins leeched into the mud on the bottom of Homebush Bay. The result has made Homebush Bay more contaminated with dioxins than Tokyo Bay, New York Harbor or the Venice Lagoon. The dioxins migrated from the mud into the Harbour algae, which is eaten by shrimp and prawns. Larger fish in turn eat these creatures. Each time the dioxins are passed up the food chain, the contaminant concentration intensifies in a process called biological magnification. At the top of the food chain, humans consume the highest concentrations of dioxins. According to the article, the companies that caused the issue were never held accountable by the government for the damage. Not surprisingly one of the items produced by Union Carbide down under was Agent Orange. Of course the United States Government took over 40 years to react to their own scandalous behavior in ignoring Veterans health issues while the affected slowly died in agony (my father and father-in-law included). As covered in this excellent article Agent Orange, Agent White, Agent Blue… we have no concept until years, nay decades after the travesties just what exactly mega corporations and underhanded government officials have been doing. The companies involved “go out of business”, Governments continue to allow Corporations such as Dow to continue “with supervision” under “stricter guidelines” to keep producing these poisons with limited “public hearing” imputs, individuals are charged years after the fact (in this case Ireland), and still – the collective “isolated incidents” keep occurring. “The really strange thing is that despite all the scandals – tainted cheese from Italy’s dairies, dioxin-tainted meat from Ireland, antibiotics in Dutch veal – Europe’s agriculture politicians haven’t stopped pushing for more output. … Like a tumour that gradually destroys its means of sustenance, industrial agriculture contaminates the ground water with nitrates, destroys fertile soil, accelerates the extinction of species and is massively influencing climate change. … But that doesn’t stop the European Union from pumping 60 billion euros a year into this system – almost half of the entire EU budget. 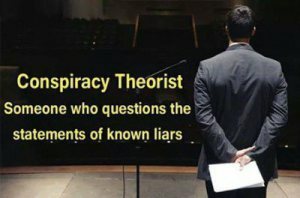 As long as various Agencies worldwide keep screaming for more regulation (which we know does not increase responsibility) those who chose to bypass legal necessities in order to financially profit will continue to do so under the false flag of “there oughta’ be a law”. For more information on Dioxin and the documented global effects, I suggest this site Synthesis/Regneration. I think that regulation is only part of the solution.